Ocean King 3 Plus Legend of the Phoenix Full Game Board Kit China Release Version is another video fish hunter games, similar to other ocean king series, features with amazing 3D graphic display and many different type fish characters, adds a new phoenix and mermaid character, comes with awake function. 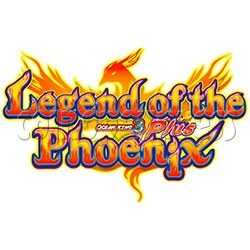 The Legend of the Phoenix is a new and attractive video fish game. It will attract every player from each arcade center. Ocean king 3 plus: Legend of the Phoenix Game board is available for 6 players, 8 players or 10 players cabinet for option.